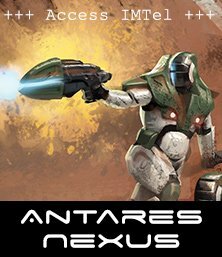 Equipped with the Arquebus, the standard hand gun of their age, they stand in the face of their enemy readying a deadly volley. Deadly and powerful, the Arquebus was favoured by a variety of military generals for their advantages they had over bows. This included a further effective range, is more powerful and has a lower requirement of training to use the weapon compared to a bow. 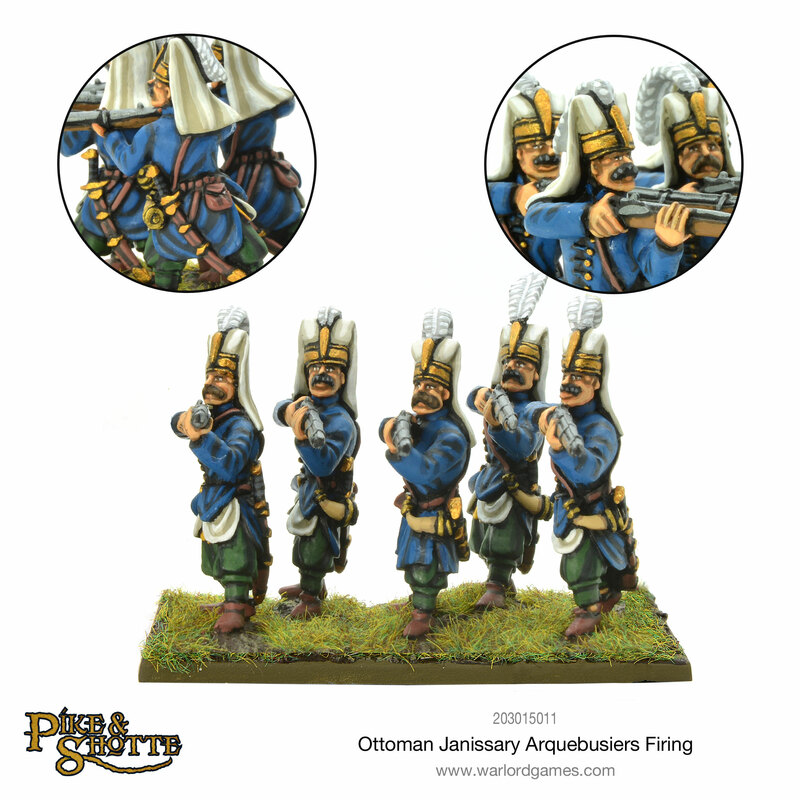 This blister pack contains 5 Ottoman Janissary Arquebusiers in a firing stance. The introduction of the Arquebus eventually phased out the use of the longbow after it was determined it was easier to train a unit to use the Arquebus over a longbow. Additionally, it was much easier to create ammunition for the Arquebus as well. 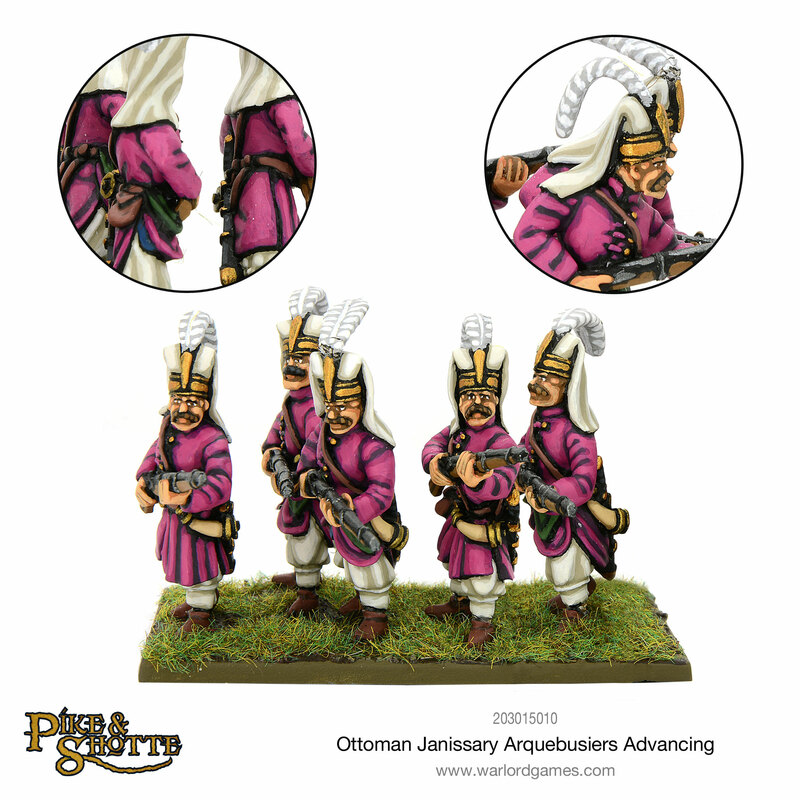 This blister pack contains 5 Ottoman Janissary Arquebusiers in an advancing stance. 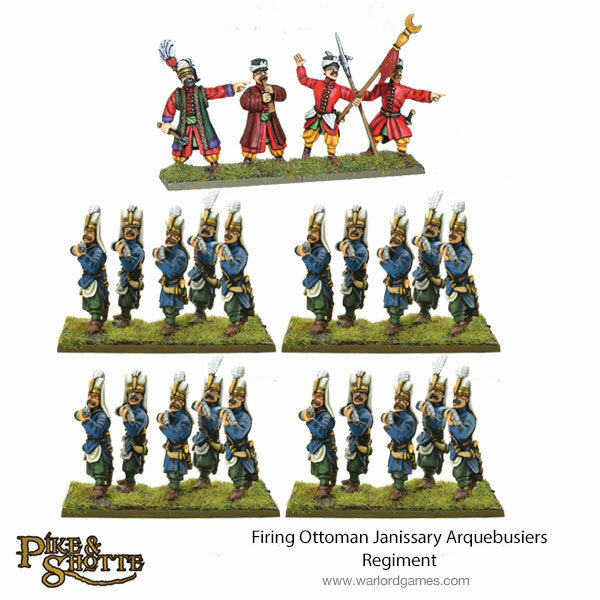 Precision and coordination were essential for any Arquebusiers Regiment. 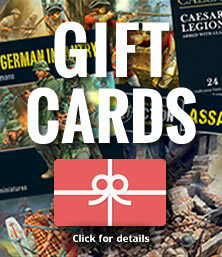 As a result, this made them reliable assets on the battlefield and any commander could call on them in dire moments to pull through.